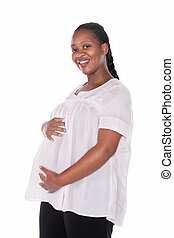 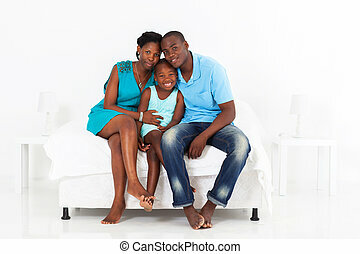 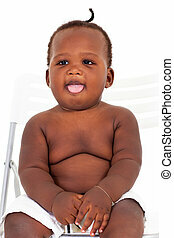 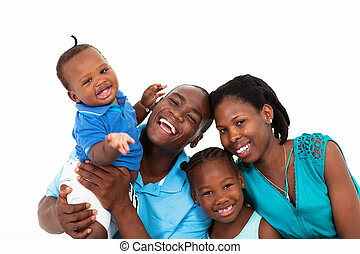 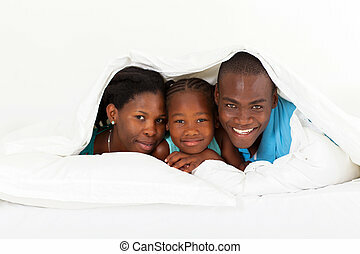 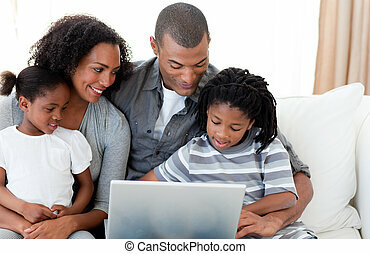 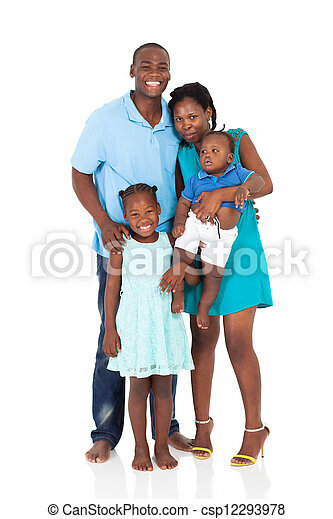 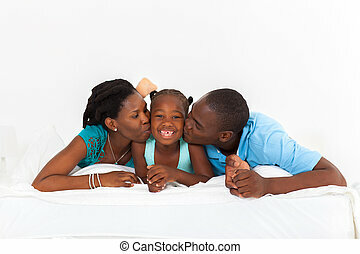 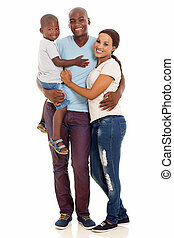 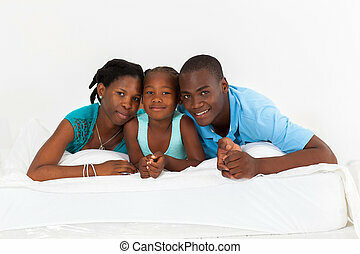 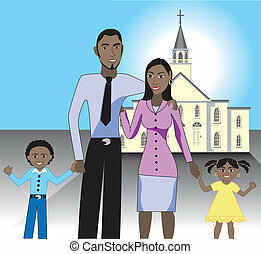 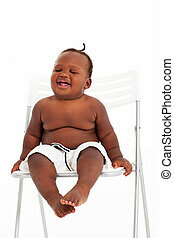 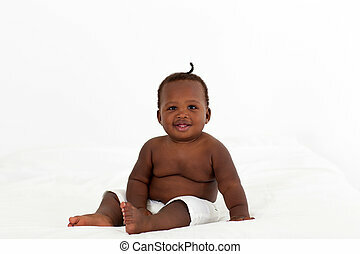 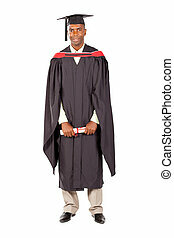 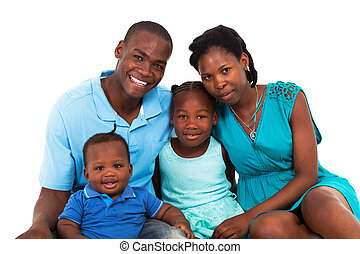 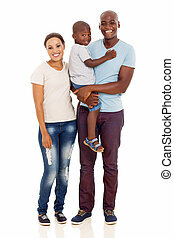 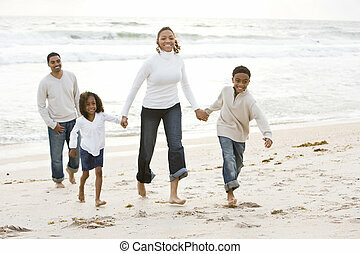 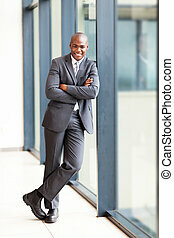 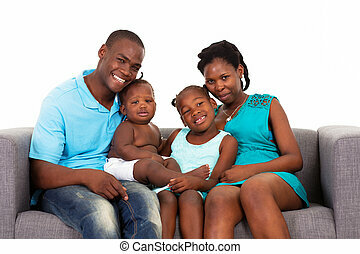 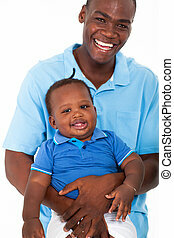 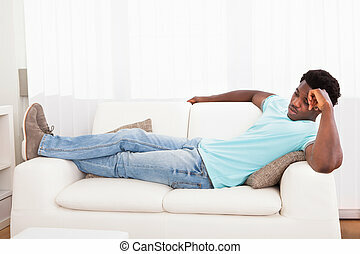 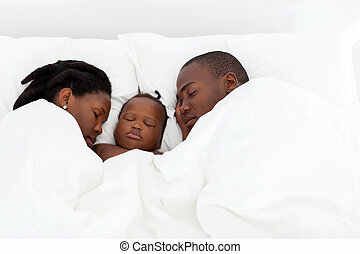 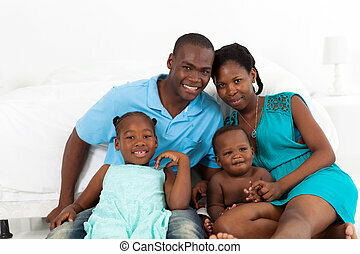 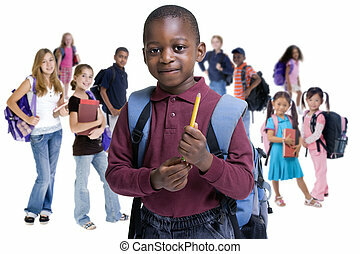 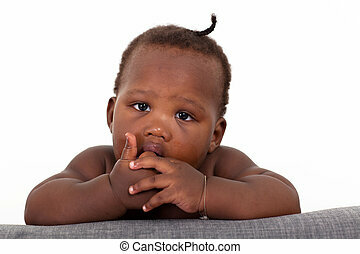 Happy african american family full length portrait. 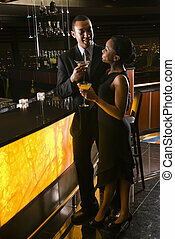 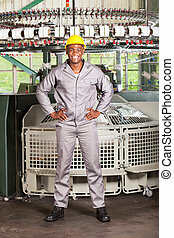 African American male holding recycling bin while pretty female puts cardboard in. 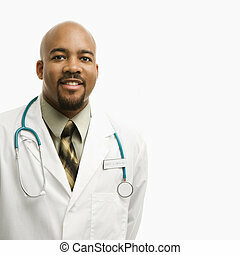 Portrait of smiling African-American man doctor wearing uniform standing against white background. 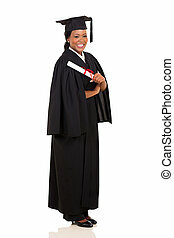 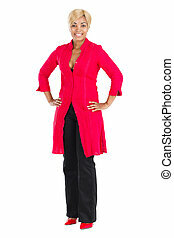 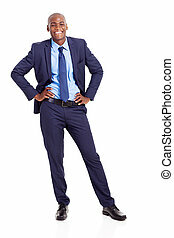 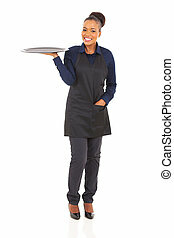 A beautiful African American woman standing for white background, bending forwards, smiling, with her long black hair. 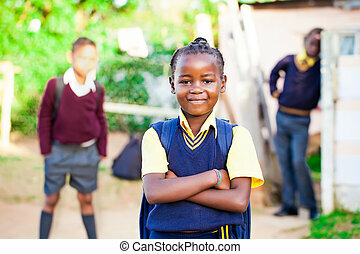 pretty young african girl standing proud in her yellow and blue school uniform with siblings watching over her. 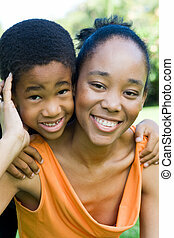 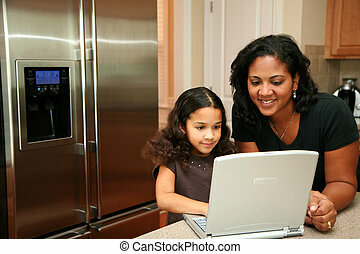 Beautiful black mother daughter portrait holding hands face to face with clipping path.